ZSL's programme of science and conservation awards recognises outstanding contributions in the following categories. To nominate a candidate for an award, please email Linda DaVolls. Awarded to pupils under 19 years of age at school or sixth form college in the UK, for an account of practical work involving some aspect of animal biology. Awarded for an outstanding zoological research project by an undergraduate attending a university in the UK. Awarded to a postgraduate research biologist attending university in the UK for original work submitted as a doctoral thesis. Awarded to research scientists with up to 15 years postdoctoral experience for distinguished work in Zoology. A four year career break for family responsibilities or illness may be added. Up to three medals are awarded annually. Awarded for contributions to the understanding and appreciation of zoology, including public education in natural history, and wildlife conservation. For individuals who have made outstanding contributions to zoology outside the scope of their professional activities. For significant and original contributions by a professional zoologist to the development of zoology. For contributions of fundamental science and its application to the conservation of animal species and habitats. For contributions of fundamental science and its application to the conservation in marine and/or freshwater ecosystems. Awarded for a communication of a zoological nature that has an outstanding impact on a general audience. The impact may be measured in terms of outstanding quality, novelty, innovation or accessibility for a wide audience. 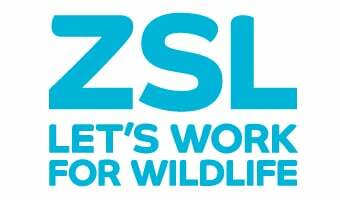 The ZSL Medal is awarded to serving or recently retired staff for outstanding achievement in the service of ZSL, and/or an outstanding contributions over an extended period of time. Awarded to individuals associated with the Society who have, through their scientific or professional activities, promoted the objectives of the Society. Awarded to individuals who have made an outstanding, long-term contribution to the international zoo and aquarium community.